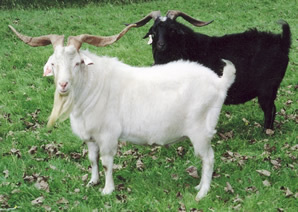 There are several versions in the USA of the origin and development of Kiko goats in New Zealand. Even the direct quotes in USA literature of the original paper presented at the 3rd International Goat Conference in Brazil in 1987 has errors. Plus the information has been interpreted for marketing reasons in ways best suited to marketing objectives. In addition there has been the Chinese whispers effect that has turned facts into something else. WHY DID CAPRINEX START TO DEVELOP KIKO MEAT GOATS? From observation and studies of feral goats it was clear that there was a size range in the estimated 300,000 feral goats in New Zealand in the 1970’s. Export goat meat prices were directly related to size. Bigger equalled more money for meat and skin. Bigger goats were also likely to be more effective in controlling brushweeds. Feral goat breeding and scope offered opportunities to develop meat goats not available in existing dairy goat populations that were largely farmed in very small hobby herds. Caprinex decided that there was a need for a New Zealand meat goat to capitalize on goat meat market opportunities and the brush weed control on hill country. The focus was to be on a maternal breed to produce lots of quick growing progeny. The then market, as it is today, has no specifications for meat quality other then weight so carcase and meat quality was of less importance. This also meant that there were less selection factors to have to work on. As it has turned out, Boer goats that became available in the 1990s can provide a terminal sire for better carcase confirmation if that is required. Developing a dual purpose animal was not part of our objectives. Animal production parameters emphasizes growth rate and weaning percentage as significant meat production factors. Animal management emphasizes factors such as feet/hoof shape and lack of disease, udder shape, attachment support and teat placement, teeth and jaws, and temperament. We set a breeding objective of maximum meat production per kg of breeding doe farmed to be produced before the first winter. Under New Zealand pastoral conditions goat weight plateaus from 8-12 months of age and slaughter animals are desirably off the farm by that stage. Initially we screened about 10,000 feral goats collected from various districts over 1978-79. That number is not guaranteed but there were over 5,000 on one farm. From them we selected about 1,000 for close inspection. We chose larger does that had kidded and this is quite important because in the feral state does will get pregnant as soon as they are able and lifetime size will be stunted. Selected animals had to be structurally sound in mouth, feet and udder. We deliberately did not choose does that showed difficult behavioural tendencies in the yards. One notable characteristic was that grey roan animals that we call “blue” were wilder than others. We chose blocky body shape as best able, and good udder attachments, and udder size as the only visual reflection of milk production. And we selected goats that I liked. Being happy with the animals that you work with is a very important aspect of livestock farming. Clearly none of these physical and subjective selection factors are particularly effective but that was the best that could be used in the circumstances. The 20 selected does plus 6 that were already on hand had an average liveweight of 32kg at first mating compared with the average feral goat liveweight of 25-27kg. We knew that feral goat milk production was not high with an average of 1.5 litres for a 3-5 month lactation. Yet milk supply is directly related to kid growth rate, and early growth rate was critical to meet our breeding objective. As Secretary of a cooperative group of 17 dairy goat farmers and a dairy goat judge, I had the opportunity for several years to identify dairy does of various breeds (British Toggenberg, Saanan, Anglo Nubian, and British Alpine) and select buck kids from them. While the emphasis was on large, meaty type high milk producing dairy does with sound confirmation, the problem was avoiding faults associated with dairy farming that would not fit free ranging, tough, go anywhere, eat anything meat goat animal objectives. Intensive dairy goat farming does not automatically generate this sort of animal. In addition the Anglo Nubian and British Alpine breeds have a very narrow genetic base in New Zealand, so limiting the available genetic potential. My daughter raised 10 or so of these buck kids each year, we evaluated them and used 2 or 3 new ones each year for mating with the doe flock. The dairy crossbred feral progeny formed the basis for the Kiko breed. Selection parameters then and always were growth rate and farmability. Growth rate is relatively easy to measure after allowing for birth dates and multiple births under New Zealand conditions. Farmability is a mixture of survivability under reasonably stressful management and nutritional conditions such as the ability to handle 25% browse content in the diet, walk hills daily in search of feed, resist parasites and foot problems, adjust to husbandry and management regimes and produce as much profit as possible each year. The labour constraints of New Zealand hill country farming were constantly in mind. Profit is a very important concept and reflects both costs of husbandry and management, but also meat income. That in turn is influenced by growth rate, number of kids, losses of does and their progeny and doe lifetime performance. There were some deliberate policies to test and evaluate farmability. For example, each winter goats spent time on a heavy, wet clay soil property to challenge their feet. Goats that went lame were either culled directly or their subsequent production levels fell below the required standard. Lame goats have more difficulty walking far enough each day to get enough to eat for their production potential so they do not perform. The dairy breed crossing programme continued from 1979 to 1986. We were retaining the best 20% of buck kids born each year for evaluation and from 1984 using the top ones when we started interbreeding the crossbreeds. During this time we also added outside does that met the selection criteria, and selected from the retained doe kids that were in the top 50% for growth rate of those born, using criteria such as having to produce twins at first kidding and growth rate. These were added if they were superior to the does already in the herd. By 1986 the herd had grown to 150 does. As a staff member of the Ministry of Agriculture and Fisheries I had access to MAF geneticists and their advice which was to “keep it simple”. So the breeding philosophy was to use population genetics to focus on as few selection parameters as possible, measure and keep good records, and mate best to best. We were also able to capitalize on the independence of MAF staff to verify records. The concept of population genetics is quite different to pedigree or family based genetics. Keep in mind that it is the basis of this breed. It is a technical topic and not necessarily easy to grasp and needs to be dealt with separately. Population genetics is based on numbers and 150 does were not enough. In 1986 Caprinex became involved with five other people and formed GOATEX Group Ltd. A veterinarian and an animal exporter, both of whom were also farmers, and three large scale hill country ranchers, one of whom later became a livestock agent for the largest farm servicing company in New Zealand, became shareholders. We were all committed to the same Caprinex objectives and methods of achieving them. Immediately the flock increased to 600 does over 4 farms, increasing to 1,000 in 1987. From this base an elite central flock of 100 does were selected and run on one farm, and it was reevaluated each year to be the best 100 does available. From this came the bucks used for breeding in all herds including the central flock. So a USA literature statement that after three generations the crossbreds were interbred to fix a composite breed is a questionable interpretation. Introducing the breed to the 3rd International Goat Conference increased offshore interest and GOATEX continued to export genetic material and goats. This also enabled us to evaluate Kiko goats in a range of climatic and management conditions ranging from tropical to Nepalese mountains. 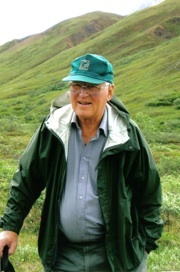 The first American imports were the four bucks that Dr. An Peischel imported to Hawaii in 1991. They ranked number 2-5 of the male kids of that years birth.Three major events occurred in the intervening years from 1986 to 1994 that should be kept in mind. Firstly there were two distinct lines of goats that were being developed of a polled, blocky type animal, and a more angular horned animal. There is some research evidence that polled animals are 7% + more productive than horned animals. Secondly there was a huge influx of new genes in the late 1980’s, and thirdly independent culling levels had moved on from feet as a major culling factor to include parasite tolerance. In the early 1990’s circumstances changed on some of the shareholders’ farms and the project was reduced to only the 100 doe central flock that by 1994 had been reduced to about half. The GOATEX Group company’s shares were sold in 1994 including all the assets of this doe flock plus some yearling does and bucks. These were the basis of the animals imported into the United States in the mid 1990’s. The GOATEX Group shareholders who imported the animals into United States had no involvement in events prior to that point. Caprinex has limited knowledge and takes no responsibility for subsequent breeding and marketing activities. History of the Kiko breed as presented in the USA seems to have taken the story presented by GOATEX Group LLC (the importers and original sellers) in 1994 and patched it onto the paper presented at the 3rd International Goat Conference in Brazil of the 1984 situation. It ignored what had happened in the intervening 10 years.